This one’s a little off our usual platter, but you still need to know about it if only to see the remarkable strides being made in our industry. On May 18, the 2011 International Engine of the Year Awards were presented in Stuttgart, Germany. The UK-run program focuses mainly on powerplants from non-U.S. manufacturers and are judged by an impressive list of 75 international motor journalists who drive cars that feature the nominated engine. Judging is strictly based on engine characteristics, with no regard to the vehicle in which its found, number of cup holders or other trivia. 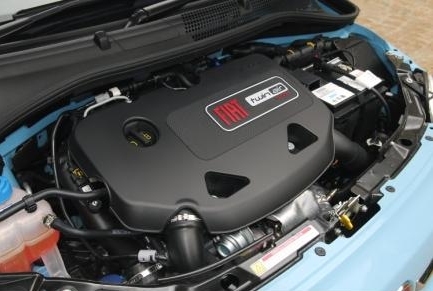 The huge news this year is that the unit judged to be the world’s finest for 2011, and also victorious in the Best New Engine, Best Sub 1-litre, and Best Green Engine categories – beating zero-emission pure electric vehicle engines from Nissan and Mitsubishi – was FIAT’s two-cylinder, 875cc turbocharged TwinAir. FIAT’s achievement is remarkable. The TwinAir is based on their 1.4L MultiAir engine (which won last year) used in many other vehicles, and this new addition uses many of the same sophisticated engineering tricks. For example, although a quick glance at the broad valve cover makes you think it’s a twin-cam, it really has only one camshaft for the exhaust side. The inlet valves are under electro-hydraulic control. A unique timing chain arrangement and counter-rotating balancer shaft add to the magic in a very small package. While the engine sips fuel, the turbocharger adds some zip; the European version is rated at 85 bhp and 150Nm of torque. That doesn’t sound like much in our world of big V-8s, but in a 2000-lb. car the performance is quite acceptable. And Fiat claims that, at 95 grams per kilometer of CO2 emissions, this is “world’s greenest mass-produced engine.” The judges agreed. On a personal note, I find this engine absolutely astounding. My hobby car is an old British coupe with a 4-cyl, 998cc engine; on a good day with everything set right, it provides – maybe – 48 hp to move about 1500 lbs. The little thing is a hoot to drive but it runs out of breath early in the game. After only a few decades, engineering prowess has developed a motor that is physically smaller, has half the number of cylinders with about the same displacement, has almost twice the power output, and propels a vehicle that is one-quarter again heavier than mine. 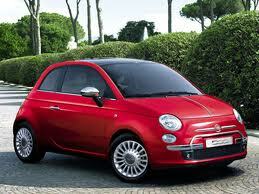 You may not be a fan of Italian cars, or even small cars, but ya gotta’ respect this work. Just for balance, however, we’ll also note that the 2011 “Best Performance Engine” award and the “Best above 4.0 Litre” award went to Ferrari’s 4.5L V-8. The 570hp monster is found in the 458 Italia. Did you know Ferrari is owned by FIAT? This entry was posted in Automotive, Automotive training, Mobile Air Conditioning and tagged #air conditioning, #MACS Member, #Macs worldwide, car, car care, car care news, car care news service, professional service, vehicle. Bookmark the permalink.